Children harvested and cooked marrows, pumpkins and beetroots from their vegetable garden recently. There was so much marrow that only three of them would fit in the oven, and more than half of the pumpkin had to be taken away to be eaten at home. 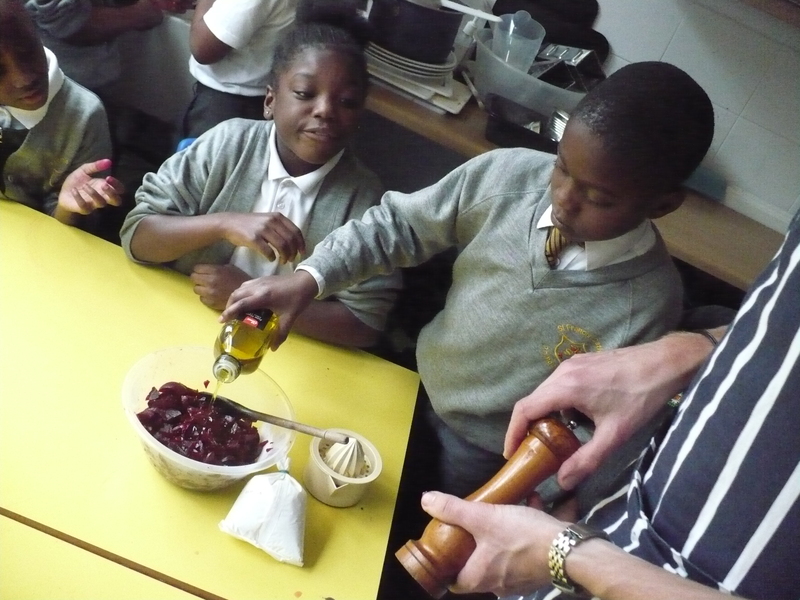 The Moroccan-style stuffed marrows were a real “hit” with Year 3, as was the accompanying beetroot and mint salad. This looks awesome and the kids seem so happy about cooking their own fruits, good job! Nice job. Great to see happy enthusiastic kids, learning life skills without knowing they are. Looks really good. Keep up the good work and keep planting. It looks like the kids are having lots of fun. 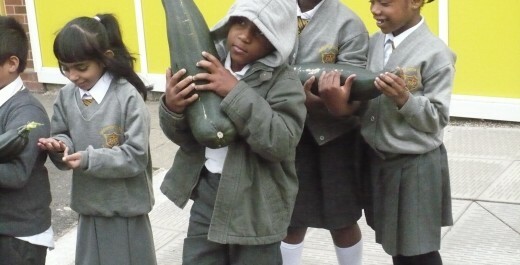 Some of those marrows are nearly bigger than the kids! You’re doing great work here Rob!